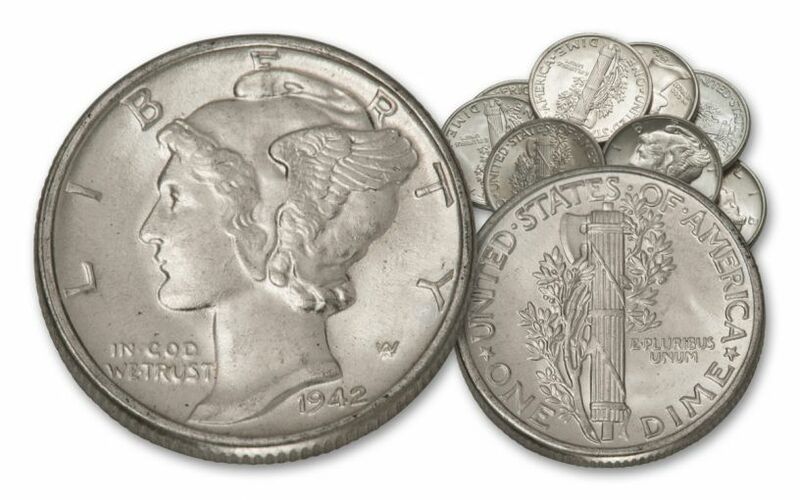 Get 10 1942 Mercury Dimes, All Still in Brilliant Uncirculated Condition! The Design That Lasted Through War and Peace, Boom and Bust! In 1916, the United States was fraught with tension. The Great War was raging in Europe, and while the U.S. was still trying to achieve a diplomatic solution, the grim inevitability of conflict was drawing near. It was at this moment when Adolph A. Weinman's Winged Liberty Head dime premiered. Like other coins that debuted during that time, it showcased a forward-looking vision of Lady Liberty along with symbolism that emphasized freedom, stability, strength and, most importantly, a desire for peace. This design would survive what would become World War I, lasting through the Roaring '20s, the Great Depression, and into the even more brutal conflict of World War II. Yet, through good times and bad, the ideals of liberty still remained in the pockets of Americans everywhere. A Stunning Discovery in Plain Sight! These "Mercury" Dimes, nicknamed after misinterpreting Liberty's winged Phrygian cap as the symbol for the Roman god, are sought after by collectors around the world. 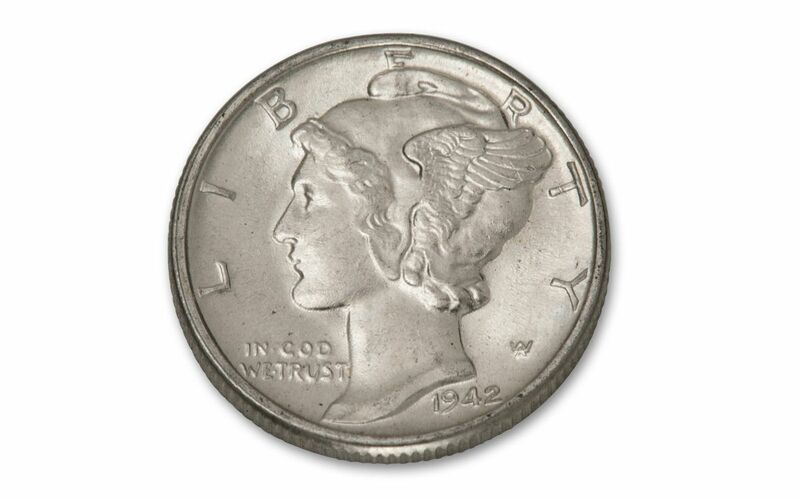 So, when our buyers recently caught wind of a hoard of these dimes at a coin show, we sprang into action! 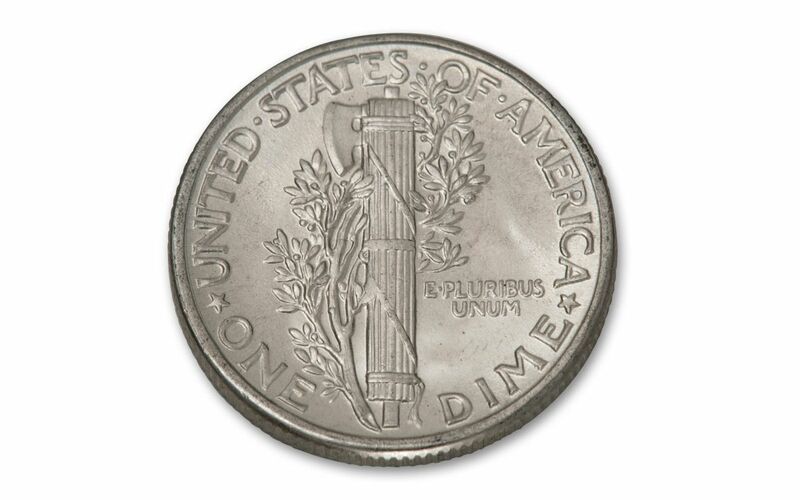 It turned out that these dimes, produced at the Philadelphia Mint in 1942, were ALL in Brilliant Uncirculated (BU) condition. 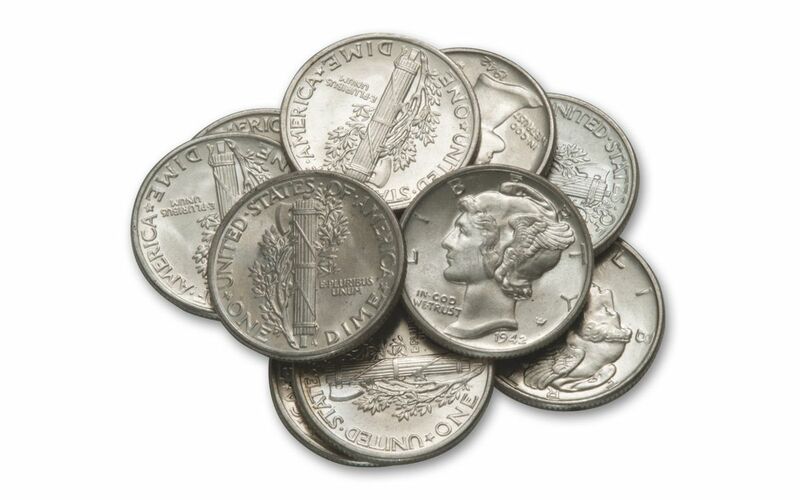 Now, you can secure a 10-coin roll of these dimes, all struck in 90% silver and all featuring Weinman's iconic design. A Significant Find, an Ideal Gift! Your roll of 10 coins will arrive to you in a numismatic tube along with a certificate of authenticity. We were incredibly lucky to find a sizable amount of these Mercury Dimes in such exceptional condition, and you've arrived at the right time to make them yours! It doesn't matter whether you're a numismatic fanatic, 20th century art enthusiast or history buff, these dimes will have a perfect home in your collection. But don't wait while our limited supply of these coins runs out -- order yours today!